Hello fellow traders. Another instrument that we have been trading lately is BABA Stock from Group 3. 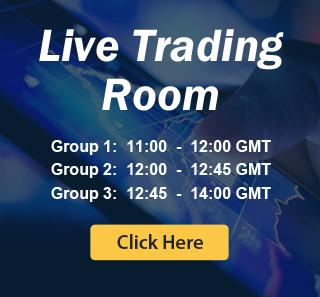 In this technical blog we’re going to take a quick look at the Elliott Wave charts of BABA, published in members area of the website. As our members know, BABA has been correcting larger cycle from the 59.5 low. We expected the stock to find buyers in 3,7,11 swings due to previous bullish trend. Consequently, we advised members to avoid selling it and keep on buying the dips in the sequences of 3,7,or 11 swings whenever get chance. In further text we’re going to explain Elliott Wave Count and Trading Setup. 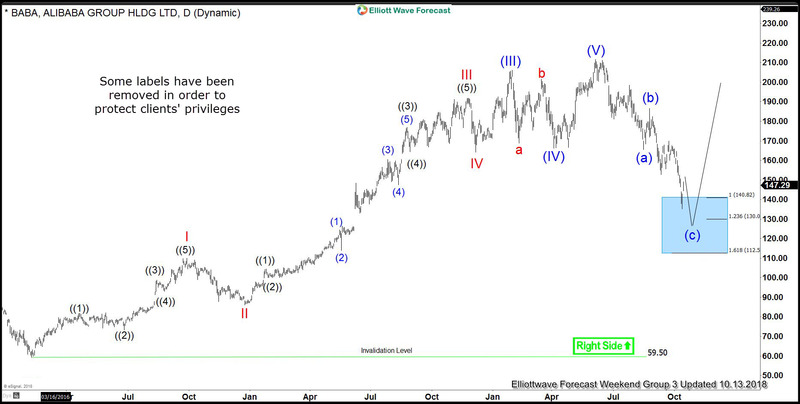 Current Elliott Wave analysis suggests BABA is correcting the cycle from the 59.5 low. Pull back seems to be unfolding as Elliott Wave Zig Zag Pattern, when we can still be in wave (c) leg. Buying zone is already reached at 140.82 , however we see possibility of another wave down to complete 5 waves in (c) leg. Although we expect move down, we don’t recommend selling BABA against the main bullish trend. Strategy is buying the dips at marked extremes : 140.8-130.0 area. As the main trend is bullish, we expect to see reaction in 3 waves up from the blue box at least. As soon as the bounce reaches 50 fibs against the (b) blue high, we will make long positions risk free and let the profit run. Eventually BABA has given us another wave down as we forecasted. Buyers have appeared shortly after and we got turn higher. Now calling pull back completed at 130.03 low. Bounce has reached 50 Fibonacci retracement against the (b) blue high. As a result members who took long trades are now enjoying profits with risk free positions. Recently we got break of November 2nd peak, which means we should ideally get further extension higher, confirming next leg up wave (3) is in progress.